For my entire life, I have used an electric razor to shave. 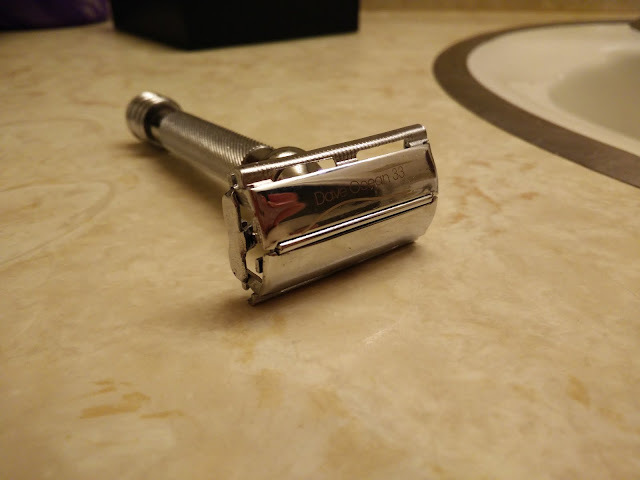 That changed this past week when Dave Ocean 33 sent me over a sample safety razor for me to evaluate. The reason why I wanted to try a safety razor is because I have been fed up with the ridiculous prices of replacement blades for electric razors and also because I constantly get ingrown hairs when I use electric razors. 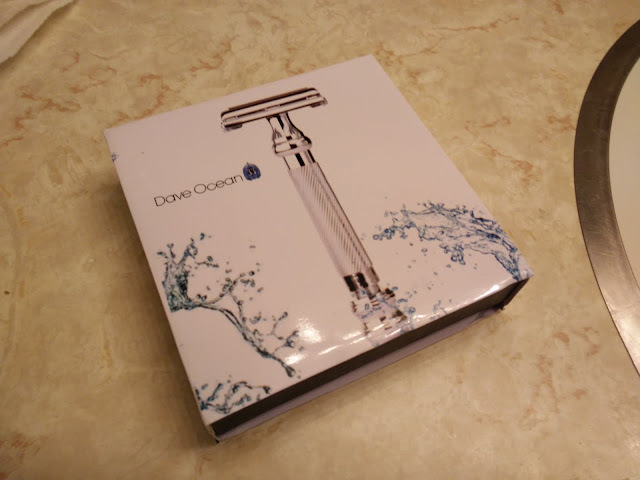 View the video above or continue reading below for my review and thoughts on this safety razor. 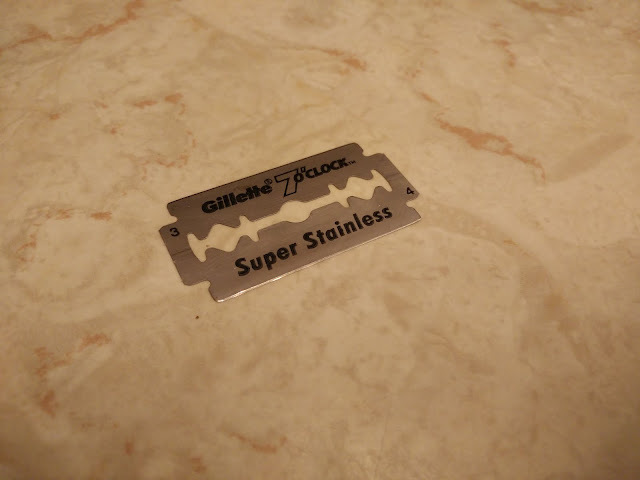 The safety razor came in a box with the razor, a cover for the head, and a pack of Gillette 7 O'clock Super Stainless Double Edge Safety Razor Blades. The first thing I noticed was how much nicer it felt in my hand than your standard (or even expensive) disposable razor. 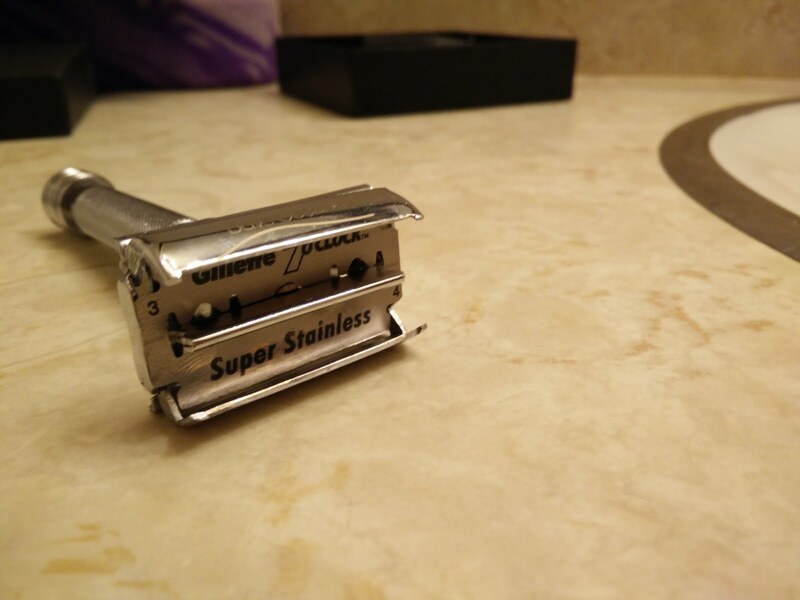 The safety razor is a nicely weighted steel that feels good in my hand. I was a bit surprised with how thin the razor blade was. I suppose I was expecting the single blade that I use to scrape gunk off tile or windows. This obvious is much nicer and designed for safety razors. Inserting the blade and using it was pretty easy and straightforward. Twist the handle to open the head then simply insert the blade. Nice. No hassle. I really ought to have done some research before trying it for the first time but I did not and alas, my face had the battle wounds to prove it. I got a handful of nicks on my face. This really did not surprise me at all as this generally happens to me (I have a weird face I guess). I decided to do some research and found a pretty good WikiHow guide and video here. After following that guide I reduced the number of nicks dramatically. I also noticed that my face seemed to adjust to the razor over time and I got fewer nicks each time I shaved. The shaving felt more uniform and smooth than when using the electric razor. Ultimately my favorite thing about using a safety razor was how easy it is to clean in water. After I shave for a few strokes, I just rinse it in water and all the hair is gone. With a disposable razor, all the hair seems to get stuck in-between the blades. I also like the simplicity of using a safety razor. It just feels like a more classic and intentional way to shave. Another thing I really like about the safety razor is that it is very cheap to replace the blades. You can get 100 blades for less than $20 on Amazon. That means if you use a single blade three times, it will cost only about $20 a year to shape (plus whatever shaving cream you decide to use). There are still things I like about an electric razor that you can't get with a safety razor. For example, reading while shaving with a safety razor is a bad idea. Also, you do have to be a bit more careful with a safety razor; even after becoming experienced with a safety razor I do find times that I get a nick or two. That being said, I would choose a safety razor over a disposable razor any day. 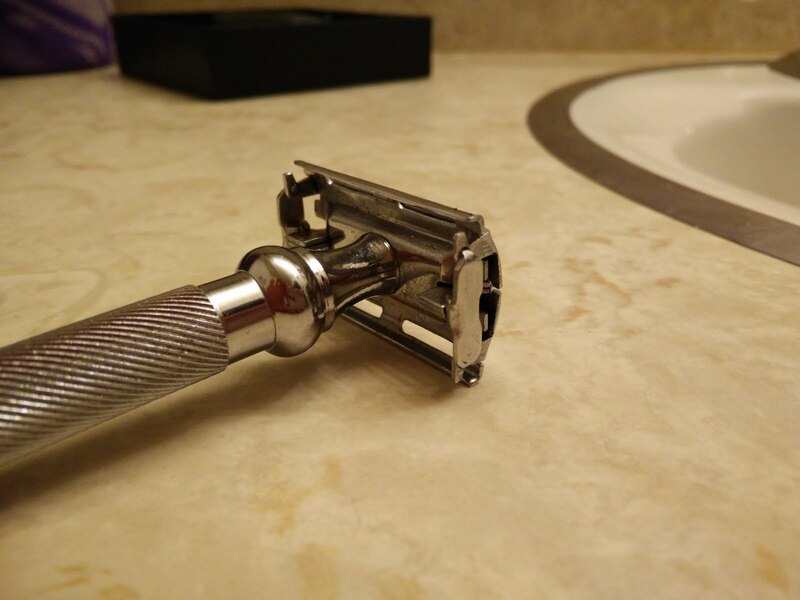 I think a safety razor is something that every man should try at least once. Note: Amazon links in this post are affiliate links which means it is the same price for you but I get a few cents if you buy it using my link.